It’s been five years since I first met Gagan when was my practicum student at my day job. I loved her personality immediately and I was beyond thrilled when she graduated and was hired on full time. Over the past five years I have watched not only her confidence grow but her love for Nick. Her whole face lights up when she talks about him and they are absolutely perfect together. 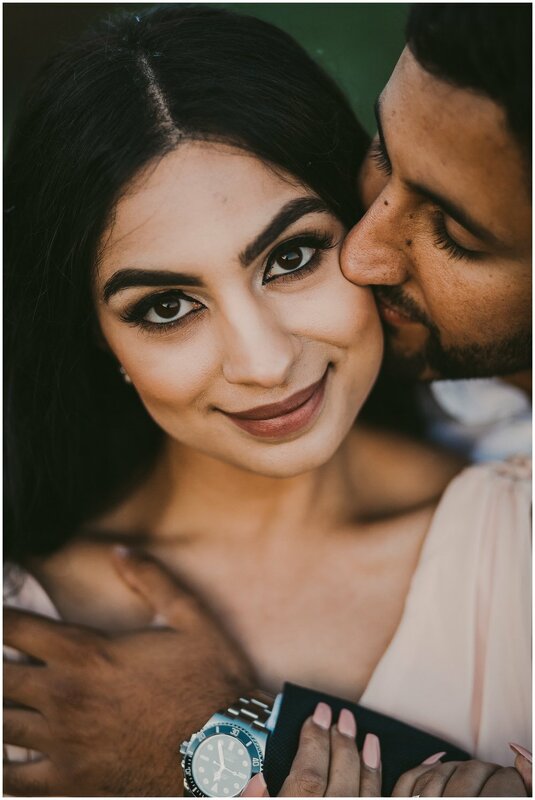 Long before Nick even proposed to her, Gagan would always comment on my wedding photography and excitedly tell me that when the time comes she would want me to take her engagement pictures. So I was beyond thrilled when Nick finally proposed to her in NEW YORK on top of the Rock in June- he even asked a stranger to make sure to get a picture! The cutest thing ever! 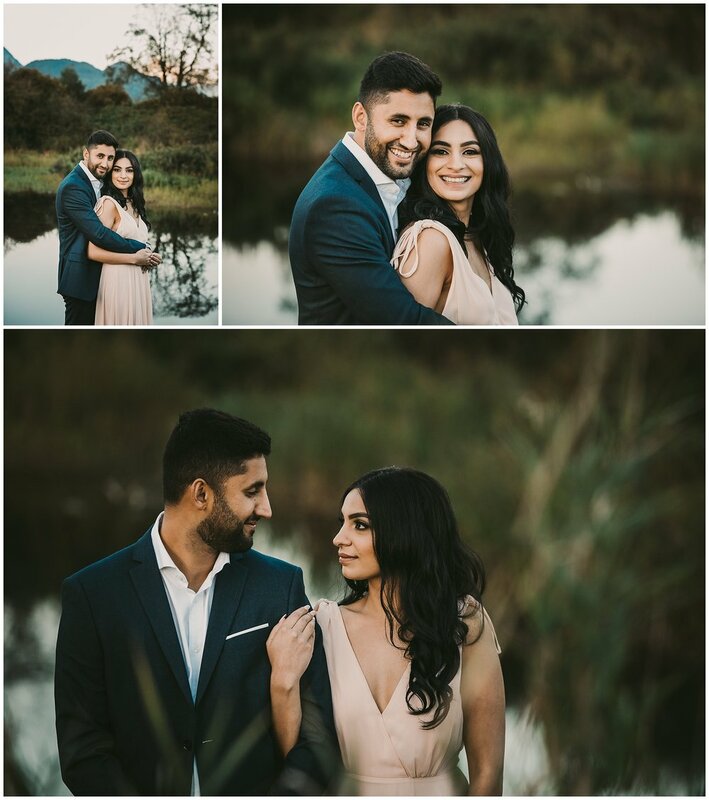 As soon as Gagan came back to work she started talking with me about doing their engagement pictures- she had only one request- MOUNTAIN views! Not a problem I told her as we brainstormed different locations knowing that Pitt Lake was the perfect location to capture her vision. 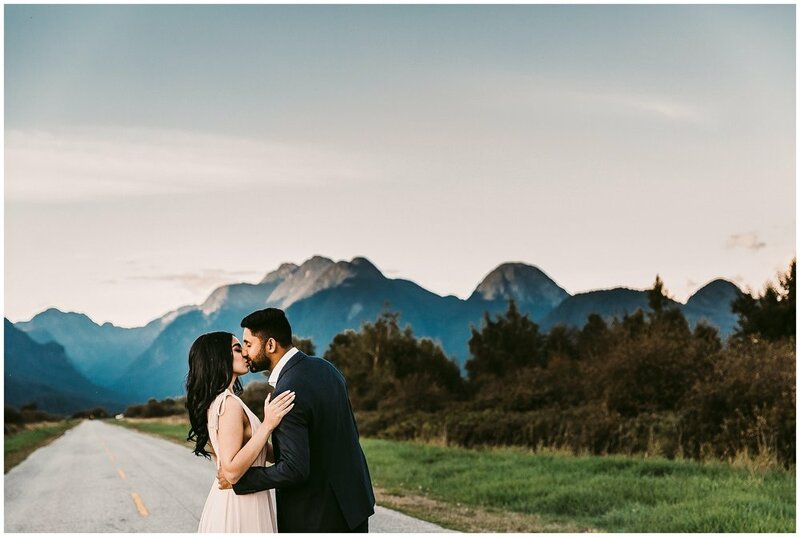 We planned it all out, just to come to the date and have to cancel because of all the smoke from the wild fires this summer- you could not see a few feet in front of you, let alone our gorgeous mountains! We decided to reschedule again for September. September came and so did the Fall rains- torrential rains. Gagan and I messaged over and over all morning hoping that the rains would let up but the rains didn’t let up- in fact it rained harder and harder so in the end we decided to reschedule again. Finally we decided to plan for a weekday instead of waiting for the weather to cooperate for us on the weekend and boy did it pay off! 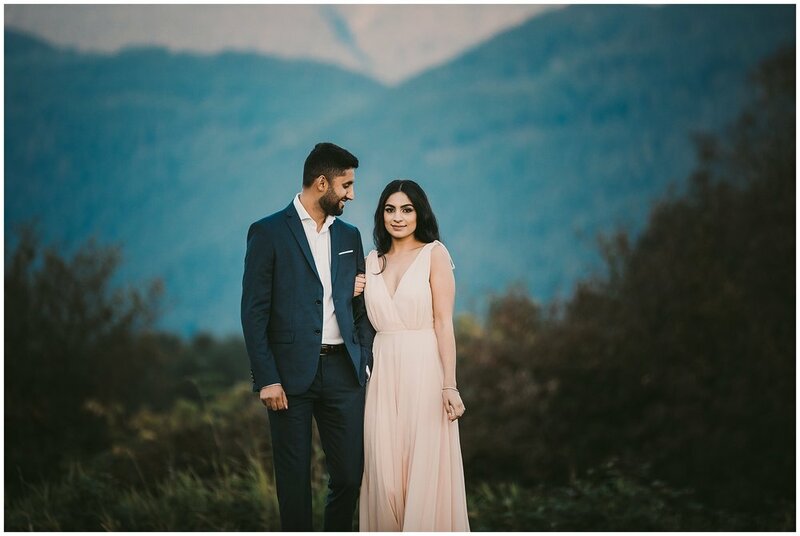 We had so much fun exploring the gorgeousness that is Pitt Lake and the surrounding area for their engagement pictures. 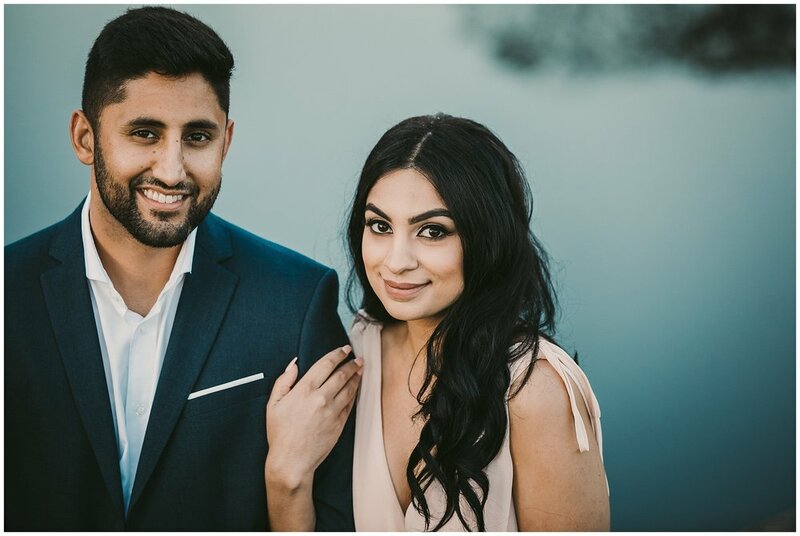 Congratulations Gagan and Nick~ I am so excited for your upcoming wedding this Spring where I get to attend as a friend and celebrate your love for each other. PROM SEASON... one of my favourite times of the year. 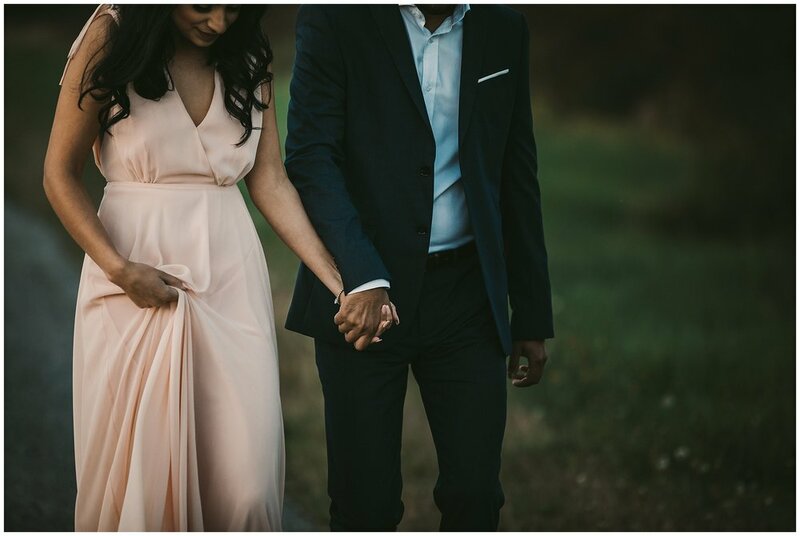 There is just something about Prom that makes me all giddy inside and I wish I could photograph all the seniors graduating but that is just not feasible! Sydney's mom booked me at the beginning of her grade twelve year to make sure that this moment was captured not only for Sydney, but for them as a family. We spent some time together in Abbotsford, BC before she was off to prom. Congratulations Sydney, I wish you nothing but the best for your future.